ANCSA was a monumental step for Alaskan Natives in so many ways. Nonetheless the law has its limitations and problems, which were discussed at the summit. 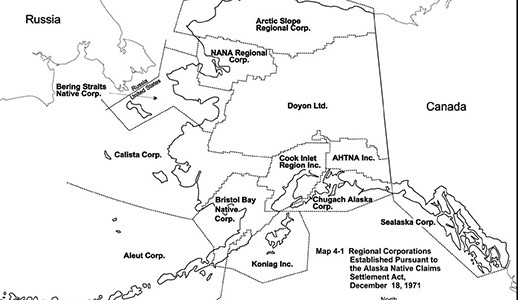 Under ANCSA, the U.S. government set up 12 regional corporations, which where selected and divided according to geographical regions and common Native heritages in Alaska (a 13th was later added for non-resident Alaskan Natives living in Seattle). The regional corporations own the surface and below-surface rights for their land. In addition, 200 village corporations were created, which own surface rights on their land. Natives born before December 18, 1971, were made shareholders of their regional corporation. According to ANCSA only Native shareholders may qualify to be head of a corporation board, by means of elections. Natives born after December 18, 1971, are called “afterborn” and are not able to obtain corporate shares. At last week’s summit, keynote speaker Ada Deer, a prominent Native rights activist and former head of the U.S. Bureau of Indian Affairs, addressed several important Native issues, including threats to tribal lands by the U.S. government, and the disenfranchisement of Native youth from being shareholders of the regional and village corporations created by ANCSA. There have been nearly 40 amendments to ANSCA since 1971. These added new clauses, such as allowing young Natives to inherit shares from their parents or grandparents. Despite such additions nearly 75,000 Native youths are currently unable to be shareholders. Deer also spoke of getting all Alaskans, not just Natives, involved to achieve common goals, such as eco-justice and civil justice. “This will be an opportunity for the people of the state of Alaska to take part in a very historic struggle and to contribute to a victorious result,” she said. Mike Williams Sr. and Emil Notti are strong advocates for making further changes to ANCSA. Notti, the first president of the Alaska Federation of Natives, who helped pass the original bill, brought attention to high unemployment and poverty rates that continue to plague rural villages nearly 40 years after ANCSA became law. Because of such problems, many tribal leaders believe that ANCSA should have given power to tribes instead of corporations. Williams criticized the abandonment of Alaska Native hunting and fishing rights in the 1971 law. Based on a U.S. Supreme Court ruling, ANCSA recognized redistributed land as private property of the Native corporations and not commonly held “Indian Country.” As a result, disputes about jurisdiction over tribal lands often occur in relation to hunting and fishing rights. A current issue that made headlines here regarding conflicts between Native hunting and land rights verses the U.S. government is the 2008 statute which placed polar bears under the Endangered Species Act. The federal government has designated over 187,000 square miles of land and ocean for polar bear habitat. Several Arctic Native activists and corporations have been considering suing the federal government because Native concerns were not taken into account. In this instance, rural and corporate Natives are unified, but this is not always the case. Notti argued that many Native corporations are more concerned with profit and have not done enough to protect traditional tribal subsistence rights. 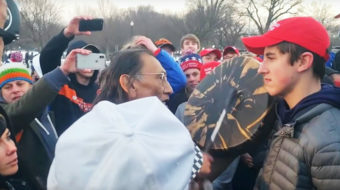 Others, such as Jim LaBelle, former instructor of Native studies at the University of Alaska Anchorage, argue that there should not be any conflict between the two because they share common goals which can only be achieved by working together. According to KTUU-TV News, there was a notable absence of Native corporation spokesmen at the summit. This was attributed to short notice. 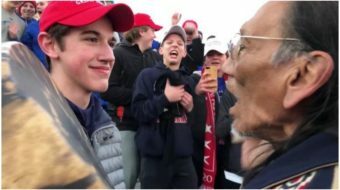 Corporate representatives also claimed that the tribal conference did not necessarily represent the mainstream political views of Alaskan Natives. Corrected 5/12/11: Native Alaskans born after December 18, 1971, are known as “afterborn” – an earlier version used an incorrect term.